"Children with special educational needs" according to § 3a pt. 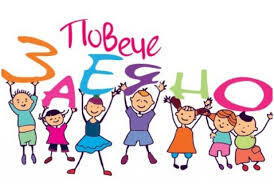 2 of the Additional Rules for the implementation of the Education Act - "children with special needs" children and students with sensory, physical, with mnozhestvouvrezhdaniya with umstvenaizostanalost with obuchitelnitrudnosti with language-govorninarusheniya. " "Discrimination on the basis of disability" under Article 2 of the Convention on the Rights of persons with disabilities means any distinction, any limitations or exclusions based on disability which has the purpose or effect of impairing or nullifying the respect, recognition or equal enjoyment of all human rights and fundamental freedoms in the political, economic, social, cultural, civil or any other field. It includes all forms of discrimination, including denial of reasonable accommodation. Persons with special educational needs are under the special protection of the state and society. Special protection requires the application of specific measures to equalize opportunities for adaptation and social integration in need of such protection entities. Some of these special measures is analyzing the individual needs of each person with mental or physical disabilities to ensure implementation of further effective measures for integrated or special training, which must be undertaken with the consent and active participation of parents, guardians or trustees the persons concerned. This will be implemented principles and provisions of the special state care and support for families or guardians of children with special needs in their efforts towards effective social integration and realization of the individual in society. Legal regulation is mentioned children to be educated integrated. Integrated education is a form of education of children with special educational needs where each train mass groups (schools, kindergartens) on schedule to suit individual needs. The goal of educating children with special educational needs through forms of integrated education is cited children to develop maximum capacity to learn and educate themselves on a par with their peers, ie Children are expected to change and meet the set in general education standards. The process of introduction of integrated education in Bulgaria started after 2002, when adopted legislation regulating the basic conditions necessary for the integration of SEN children in the public education system - amendments to the Education Act of 24.09.2002, Art .21 and Article 27 of the implementing Regulations of the Public education Act under which child with special educational needs trained and educated in integrated kindergartens under Art. 18 of the Education Act, as such children were legally regulated is the ability to create and special kindergartens and servicing units under Art. 21, para. 3 of PDO. The provision of Art. 21, para. 2 of PDO requires kindergartens to admit children with SEN and / or chronic illnesses. Moreover, the provision of Art. 21, para 4 of PDO provides that children with SEN enter the special kindergarten, when other opportunities for training and education in state and municipal kindergartens and servicing units have been exhausted and in writing expressed request of parents or guardians. Right of Education Education is a means of realization in public life and social integration into society. It is apparent from the general sectoral legislation, education, training and acquisition of skills is encouraged by the state. The rules in carrying a 16-year old citizens as age, to which the individual is subject to compulsory education, should be applied literally, not be seen as grounds for fixing this age limit as to education. The rules which govern the 16-year-old mandatory for Bulgarian citizens in obtaining education and training are: - CRB - ​​Article 53 (1) - Everyone has the right to education as a fundamental right of citizens; (2) Schooling up to the age of 16 is compulsory; - PDO - art. 4 (1) - Citizens have the right to education; . - PDO - art. 7 (1) Schooling up to the age of 16 is compulsory; - PDO - art. 22 (1) - School education provides training and education of students in accordance with society's needs and their individual abilities and expectations for success in civil society. - Art. 24 of the Convention on the Rights of People with Disabilities (prom. SG. 37 of 15.05.2012, effective from 21.04.2012), which states: "Member - Parties to this Convention recognize the right to education disability ....... "
- Art. 2 of the Additional Protocol to the European Convention on Human Rights enshrines the right to education as a fundamental human right related to personality development - equal access to education and quality education, which states: "No one shall be deprived of the right of education. " - Art. 32 of the Law for Protection against Discrimination - "Training institutions take appropriate measures to equalize opportunities for the effective exercise of the right to education and training of persons with disabilities .........". The subject of the dispute is relevant decision of the European Committee of Social Rights of the Council of Europe on complaint № 41/2007 of MentalDisabilityAdvocacyCenter (MDAC) v Bulgaria. The decision under appeal № 41/2007 The European Committee of Social Rights CE ruled that meet the accepted educational standards, education of persons with SEN should be available, accessible, appropriate and adaptive. Equal access to education, which is universally recognized right of every child does not mean equal care to all children, and differentiation of care to their various potrebnosti.Ot other hand, national legislation has provided for an exception to the rule that any unequal treatment is discrimination exhaustive lists of exceptions that do not constitute discrimination in Article 7 of the Law on protection against discrimination. Different treatment of persons with disabilities in the conduct of training and education to meet the specific educational needs aiming at equalization of their opportunities not constitute discrimination (Article 7, section 10 PfDA.) The special measures in favor of persons or groups of persons disadvantaged on the basis of protected attribute does not constitute discrimination. (Article 7, section 13 PfDA.) And the special protection of minors and persons with disabilities, established by law (Article 7, p.14 PfDA.). Such special protection constitute "special kindergartens" and the special adaptation, motivation, orientation, socialization and subsequent educational integration (...) designed to meet their specific educational needs and providing equal opportunities to children who do not need specific conditions on a training. Child protection against discrimination is legally covered by the preamble of the Convention on the Rights of the Child / adopted by the UN General Assembly on 11.20.1989, the ratified by decision of the Grand National Assembly 11.04.1991 - SG. 55 of 07.12.1991, effective from 03.07.1991 years / recorded "..... child because of his physical and mental immaturity, needs special safeguards and care ..." In the case of art. 2 pt. 2 of the Convention reads "States Parties shall take all appropriate measures to ensure the protection of children against all forms of discrimination ...."
Right to work and occupation of parents - regarding the balance of these rights, acceptance of a SEN child in a kindergarten, in a specially created group adaptability, motivation, orientation and socialization (...) or giving up the child to be a full-time stay except violates the right to education of the child, but also the right to work of parents. Forced have all day to care for their child because of their health status and to leave the job due to inability to combine work commitments or to attend an all-day private kindergartens, making it difficult family financially.